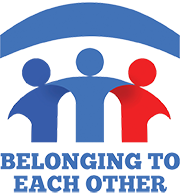 Belonging To Each Other is a non-profit organization based in Falmouth, Massachusetts. Our mission is to provide housing to our homeless neighbors during the winter months. With the assistance of over 100 volunteers from the community we are able to help over a dozen men & women each winter. We not only provide housing but deliver food and assist our clients with accessing various services to help them transition to stable housing. Do you need help finding housing right now? We can help. Your gifts enable us to provide temporary shelter, transportation and food for people in Falmouth, Massachusetts.